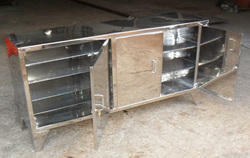 We are a leading manufacturer, exporter and trader of Stainless Steel Stand. 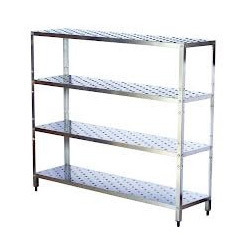 Our range of products which include Stainless Steel Products such as Reactor Stand, Sifter Mesh Stand, Helmet Stand. These are rust free and of high quality. We are offering our clients with perfectly designed Stainless Steel Helmet Stand. Made up ofselected high-grade stainless steel and advanced technology, these products are widely appreciated for their impeccability. We precisely design these stands while taking into consideration prevailing contemporary trends and clients’ requirements. Furthermore, our valued clients can avail the offered stands in different sizes and designs. We are offering our valued clients the best-in-class Stainless Steel Sifter Mesh Stand. Manufactured using high-grade basic stainless steel and others, these products stand tall on the grounds of industry laid parameters. These stands are featured with handle and rubber wheels for easy mobility and effortless control. 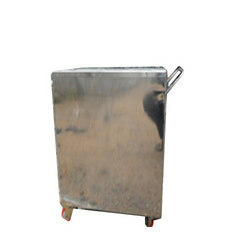 Looking for Stainless Steel Stand ?